The North Carolina-based foursome have continually debuted new material during live shows, including “Roses and Sacrifice,” which they first played last summer. The track was revealed to wider audiences last month, when The Avett Brothers made an appearance on Late Night with Seth Meyers. The band finally released the studio version on Friday. 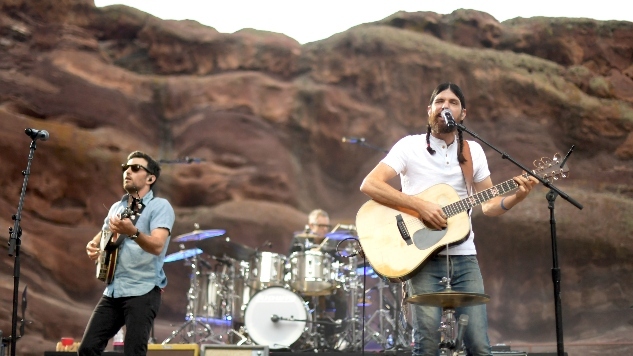 Seth Avett takes lead vocals on the track, alongside brother Scott, cellist Joe Kwon and bassist Bob Crawford. But don’t let the upbeat sound and untroubled strumming fool you: In a move that can only be described as “Avett-esque,” the ballad manages to seamlessly combine delight and sadness, hope and despair. Seth continues to muse on love and compromise, and the devotion we have for one another. While the tone remains optimistic, it becomes increasingly clear that an unnamed strain is weighing upon this relationship. The bluegrass luminaries really deliver with this long-awaited single, with more intoxicating crescendos and fuller harmonies than ever before. “Roses and Sacrifice” is the most recent music from The Avett Brothers since their 2016 album True Sadness. In other recent Avett news, Seth and Scott appear on the track “Willie Got There First,” a collaboration with Asleep at the Wheel. The latter’s LP New Routes came out in September. Listen to “Roses and Sacrifice” (also available via your streamer of choice here) and see the Avetts perform the song on Late Night below, and find an Avetts performance from the Paste archives and a list of The Avett Brothers’ upcoming live shows further down.